infection control at the forefront of medical waste compliance. Daniels provides customer-focused Regulated Medical Waste (RMW) containers, disposal, and treatment. More healthcare facilities are choosing us because we put safety at the forefront of our healthcare waste management solutions. Given the potential infectious nature of regulated medical waste, stringent regulations govern its collection, transport and disposal. We are proud to service nationally so you no longer have to ask, “Where is hazardous waste disposal near me?” Regulated medical waste (also known as red bag waste, biohazardous waste, biomedical or infectious waste) is, according to US law, the responsibility of the generator from point of disposal, right through to final treatment. With over 30 years of experience in healthcare, Daniels has the solutions, licensing and compliance expertise to protect the safety risk exposure and regulatory responsibilities of healthcare facilities in the total management of RMW waste. There are companies out there that boast the most durable red bags in the market. We’re not that company. There are some that even have “red bags” in the title of their business name. That’s not us either. Why? 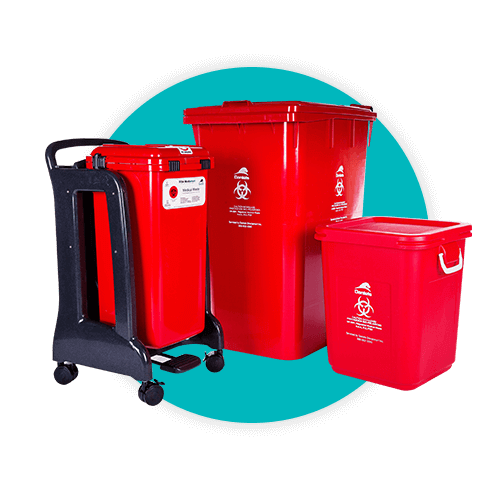 Because we believe in a world where medical waste containers are designed to an appropriate standard of safety and compliance that red bags are not required! We believe in Biohazardous waste containers that are leakproof, puncture-proof and able to be permanently locked to avert security risks. It was the hard way to go about building a business (engineering the world’s safest medical waste containers with UN certified ratings is a bit more of an undertaking than manufacturing a better red bag!) but from a safety standpoint, it’s the right way. Once upon a time, medical waste disposal in the United States was given the nickname “red bag waste”, but thankfully the myth that bags are an acceptable containment for hazardous waste disposal, is now disappearing. Quite simply, they are not sustainable, they are not safe (stories are replete of healthcare workers or cleaners getting stuck by a wrongly discarded sharp, or being exposed to spilled infectious substances), and they add an unnecessary cost to the healthcare supply chain. The future of healthcare waste management | What Daniels will deliver in place of plastic bags? Would you put an open-lidded trash bin in your living room? Why would we think it’s appropriate to put one in a patient room? Daniels Health: Rethinking how medical waste containment impacts safety, infection control, and the patient environment. A 3 year study studying the impact of a hospital transitioning from a 64Gallon bin to the Daniels 17Gallon Medismart containment system revealed that the Medismart system reduced medical waste mass and volume by 53.2% and 65.2% respectively, reduced medical waste disposal costs by 31% and labor costs by 69.2%. A revolutionary new approach to the management of RMW waste; the Medismart is unrivalled in safety, efficiency and segregation. This useful safe operating procedure outlines correct use of the Medismart container with an Access Plus trolley to ensure safety in use. Providing stability and mobility for Daniels 28 and 38 RMW tubs while transporting through healthcare facilities. With a compact design, its rubber buffers and brakes minimize noise and enhances mobility in a busy setting. This study demonstrates the significant impact that the Medismart has had on an Australia hospital's medical waste disposal. What should be disposed of in a Daniels Medismart collector? Find out here in this very simple but easy-to-follow instructional poster. What is, and what is not regulated medical waste? Find out here in this simple illustrative education poster. This storage solution enables a hands-free disposal and reduction of odors with its soft close mechanism. Constructed of tough materials, this mount stabilizes 64-Series containers and prevents tipping or spillage. With an accompanying foot pedal, this mount permits the operation of elevating 64-Series containers to be hands-free. Securely transports up to 12 x 64-Series containers between Daniels' processing sites and the healthcare facility. This poster visually demonstrates the correct way to dispose of RMW waste in a 28Gallon red tub. Stop paying to throw away bags, boxes and disposable containers; our reusable containment systems eliminate unnecessary waste. "Daniels is a true partner..."
Daniels has always been professional, courteous and responsiveness to our needs. A pleasure to work with in all phases of the business, from customer service to delivering outcomes necessary in a very competitive marketplace. Daniels contributes to our organization from the standpoint of Safety, Productivity, Quality and Environmental awareness. Daniels is not just a solutions provider, but a true partner in our business. Switching to Medismart saved our organization nearly $13,000. We also reduced the non-productive time that my staff had been spending switching over disposable sharps containers, and the number of trips for one of my staff members to pick up RMW containers, by 50%. That allowed us to focus more on the cleaning of the hospital in other areas. "RMW Reduction of over 50%..."
Since our partnership with RMW began in 2015, Daniels has been not only a service provider, but a solutions provider. With the introduction of Medismart RMW containers we have seen a reduction of regulated medical waste at Ingalls by over 50%. Obtaining a regulated medical waste management system without receiving a thorough review of a health facility, may result in obtaining sub-optimal solutions. Some service providers try to retro-fit a regulated waste management system to without considering a health facilities unique requirements. This can lead to oversized containers being used that are not fit fur purpose and an increase in the volume and mass of regulated waste collected. Costs associated with waste volume and mass can quickly escalate if a health facility is using out of date regulated waste management solutions. The costs of receiving regulated medical waste management services may not always be transparent and a health facility may be caught out with large invoices. Government requirements for managing regulated medical waste can vary from State to State and can be outdated. Experienced a few accidents and injuries and have had to face heavy compensation payouts. Not all service providers deliver training to support staff to understand latest Government requirements or may provide an overload of information that confuses staff. 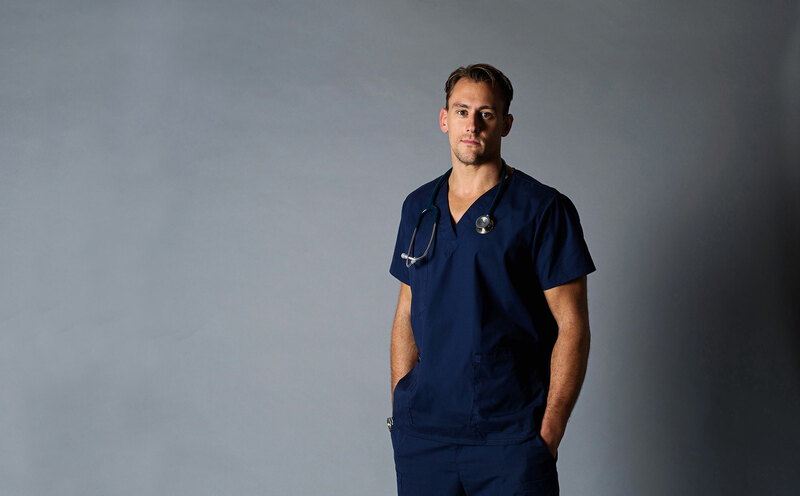 The problem with red bags and boxes, from a clinical perspective is that waste is kept in patient areas in bins that are rarely if ever cleaned, waste can and is smelly, and where there is a smell there is a source of pathogens and infection. Given the current focus in US Hospitals of reduction of infections, the last thing that any healthcare facility wants in a clinical environment is any potential source of infection. World-class clinically designed containment systems optimized for safety, sustainability and efficiency. Experts in state and federal regulatory compliance | We navigate the red tape for you. Regulated medical waste (sometimes referred to as red bag waste) is the classification for wastes that are contaminated with blood, body fluids or other potentially infectious materials, thus posing risk of transmitting infection. According to the Centers for Disease Control and Prevention, medical waste is “waste sufficiently capable of causing infection during handling and disposal.” We have medical waste and sharps disposal containers for all the specific waste streams these faculties generate, including regulated medical waste, sharps waste, pharmaceutical waste, chemotherapy waste, and hazardous waste. There are both federal and state regulations that govern the labeling, containment, storage, transport and treatment of medical waste. The Environmental Prevention Agency (EPA) and Department of Health regulates treatment facilities for processing and environmental safety; OSHA, DOT and CDC govern labeling, containment and the identification and safe handling of medical waste and sharps disposal containers.